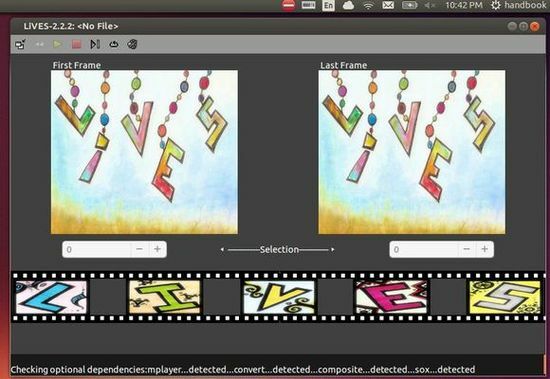 LiVES, an open-source video editor and VJ tool, has reached the 2.4.0 release recently with some crash and stability fixes. 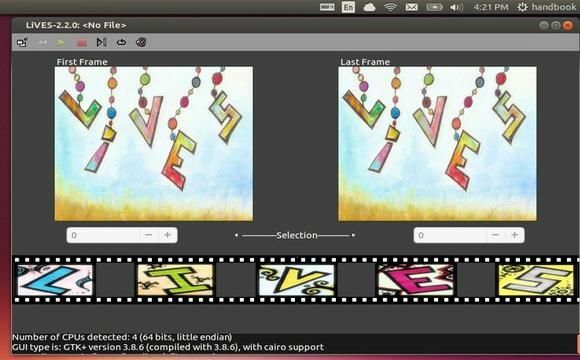 LiVES is a Video Editing system allowing both novice and advanced users to edit and create video straight away. It can also be used as a VJ tool, and can be scripted and controlled remotely. 2. Launch Software Updater (or Software Updater), after checking for updates you should be able to upgrade the app if you have an previous version installed. 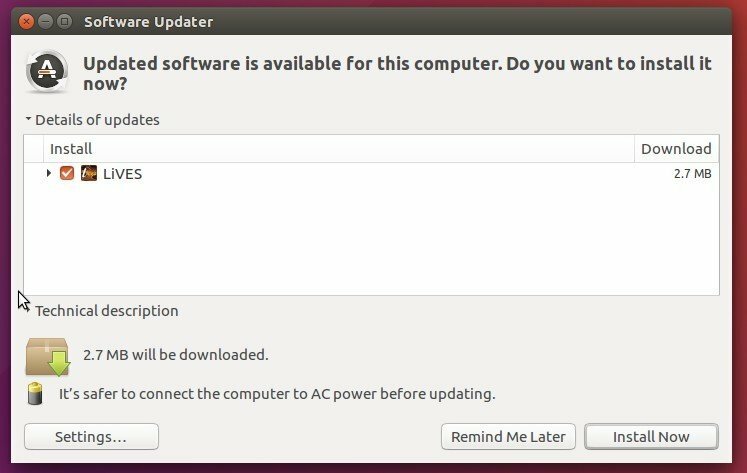 If you don’t have an previous version on your system, install it directly from Ubuntu Software Center (after checking for updates via Software Updater). 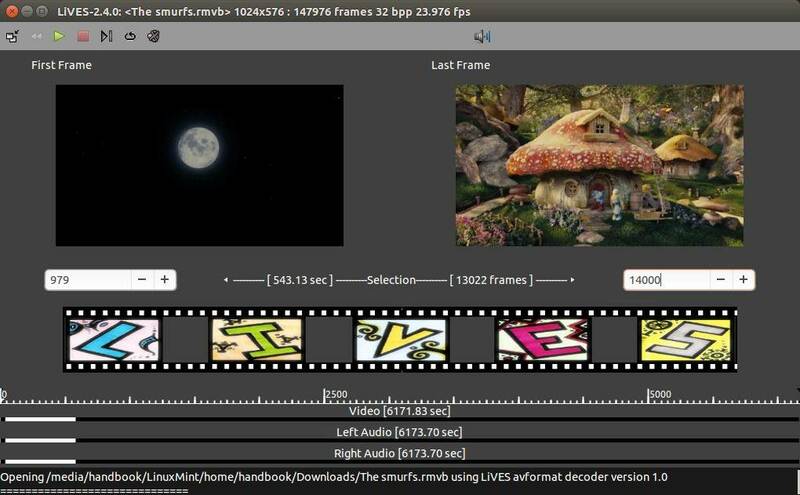 The open-source video editor and VJ tool LiVEs 2.2.7 has been released recently. PPA’s ready for Ubuntu 14.04, Ubuntu 12.04, Ubuntu 14.10, Linux Mint 17, and derivatives. LiVES mixes realtime video performance and non-linear editing in one professional quality application. It will let you start editing and making video right away, without having to worry about formats, frame sizes, or framerates. It is a very flexible tool which is used by both professional VJ’s and video editors – mix and switch clips from the keyboard, use dozens of realtime effects, trim and edit your clips in the clip editor, and bring them together using the multitrack timeline. You can even record your performance in real time, and then edit it further or render it straight away. For features, documentation and other details, see LiVEs web site. For Ubuntu 14.10, Ubuntu 14.04 and Ubuntu 12.04 users, run below commands one by one to install or upgrade to LiVEs 2.2.7. Type in user password when it asks and hit Enter to continue. 2. If you have a previous version installed, upgrade the editor using “Software Updater” or “Synaptic Package Manager” after checking for updates. LiVES, an open source video editor and DJ tool, has released version 2.2.3 with bug fixes and translation updates. The application allows the user to manipulate video in realtime and in non-realtime. The application also has features which go beyond traditional video editing applications – for example, it can be controlled and monitored remotely over a network, and it has facilities for streaming to and from another copy of LiVES. It is resolution and frame rate independent. LiVES uses a system of plugins for effects, decoders, encoders and video playback. The APIs for these are now well defined, and the application can be easily extended. 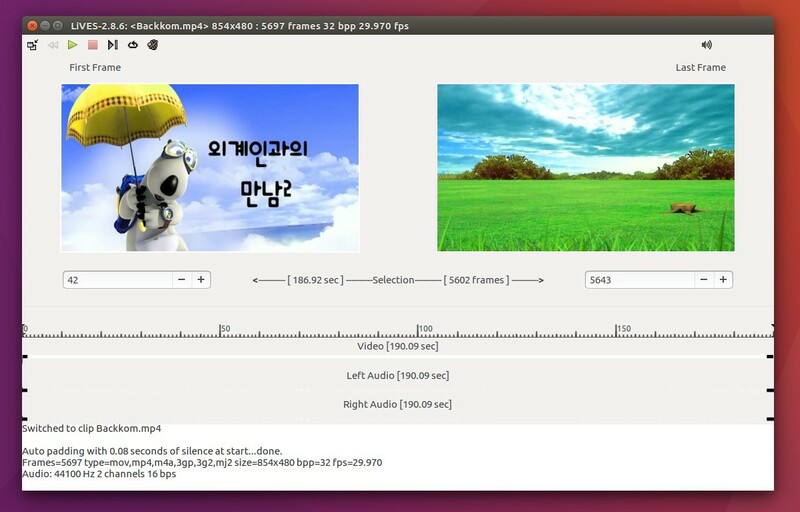 Run data processing plugins in both video and audio threads. Fix crash when loading device map (regression). Fix bug which prevented audio changes from being recorded when audio analysers are running. Updates for gtk+ >= 3.8. Workaround for missing av_set_pts_info() in libav. Fix to handle changed option order in ffmpeg. Updated translations to Russian, Piemontese, Uk English, Spanish and Ukranian. 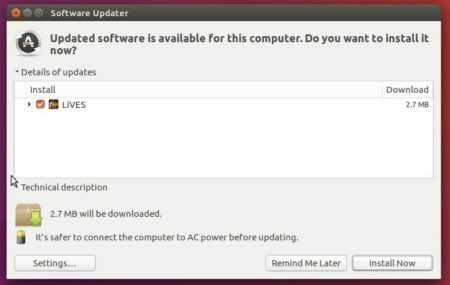 Ubuntu 14.04, Ubuntu 13.10 and Ubuntu 12.04 are supported. 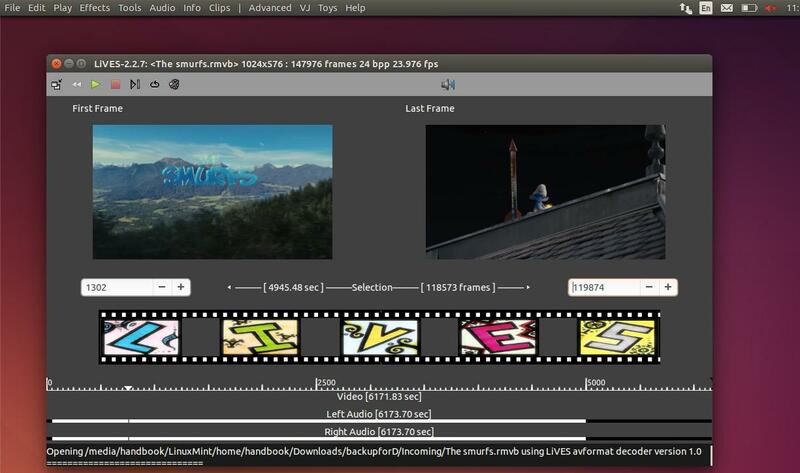 LiVES is a free, open source video editor and VJ tool. Due to lack of a PPA for latest LiVES binary packages, I’ve finally built the current LiVES 2.2.2 into PPA for Ubuntu 14.04, Ubuntu 13.10, Ubuntu 13.04, Ubuntu 12.10, Ubuntu 12.04 and their derivatives. What I did is just borrowed the official build of LiVES package and did a little changes on build-depends. I’m still a noob on building debian packages, and I’ll keep updating this PPA as possible as I can. Optimisations for handling larger clips. Use threading for pulling frames from video clips. Much faster loading/saving of layouts in multitrack. Fix crash in swscale when frame width is not multiple of 4. Fix crash (regression) setting parameters in multitrack. Fix breakage in multiple image loading. Fix opening preview for quick opening clips. Fix bug in “delete frames” for virtual clips. Fixes for letterbox mode playback. Compilation fixes for Debian Sid. Various improvements to rte window. Add “randomiser” data processing plugin. Improvements to colour correction and tvpic effects. Fix jack transport during playback (regression). Fix for saving data connection mappings. Implement multiple inputs per output in the data connector. Optimised thread locking between audio and video effects threads. Fix problems with setting defaults for colour values. Decoder plugin fixes for ffmpeg 2.2 (needs further testing). Preserve clip comments and renamed clip names between restarts (bugfix). Small fixes for rfx_builder window. Add initial translation to Piemontese. (Simon Uslengh). Updated translations to UK English, German, Russian and Ukranian.